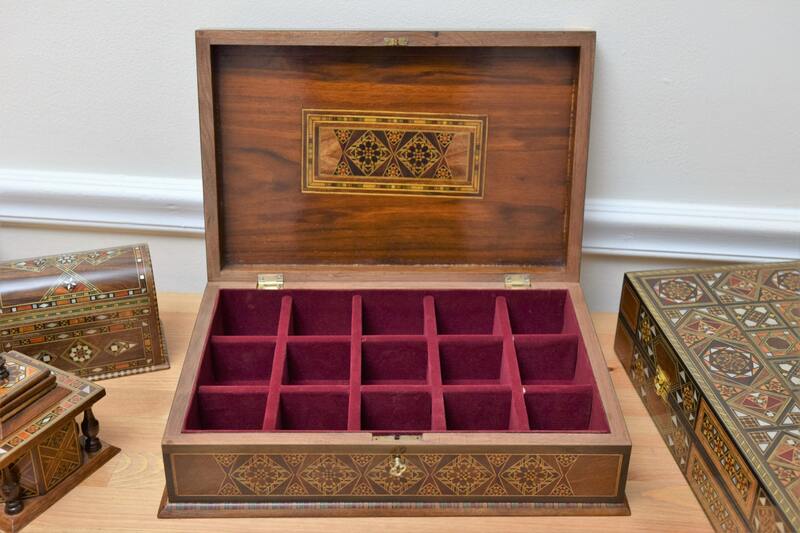 15 chambers to store your tea bags in one stylish wooden box. 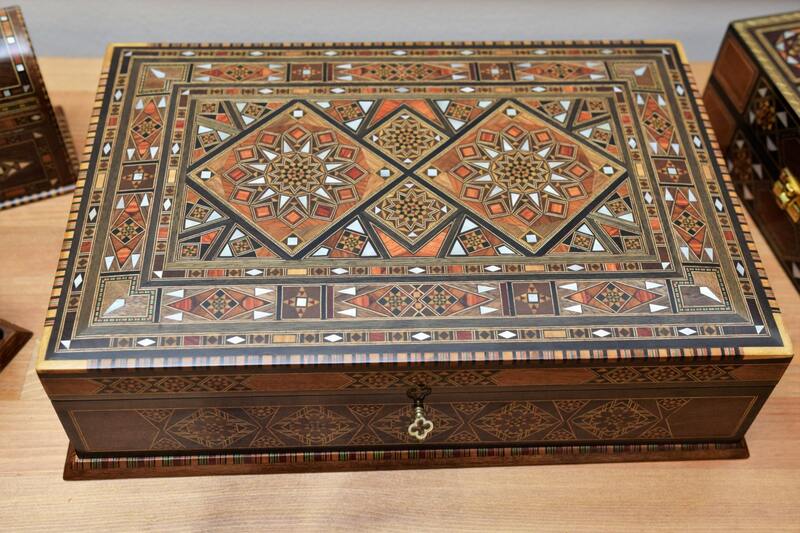 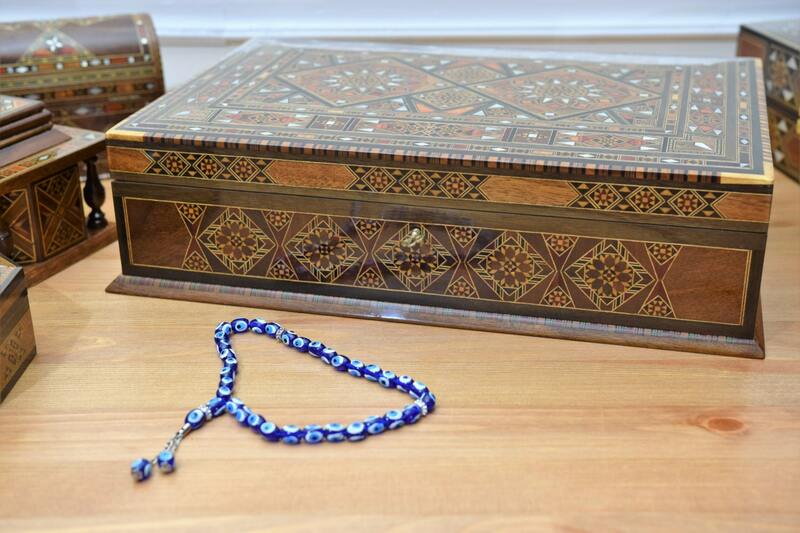 multipurpose wooden box with a key, used also as home decor, made of solid walnut wood, inlaid with many different kinds of fruit woods, and mother of pearl. 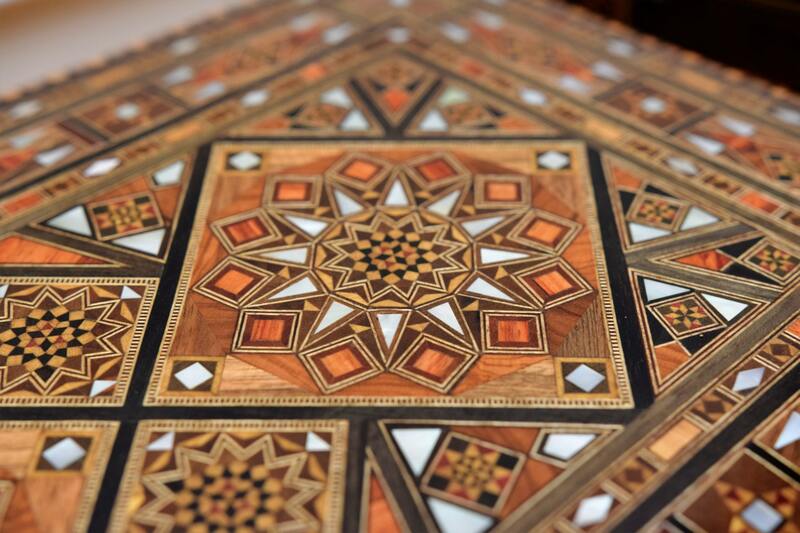 every color you see is a separated piece of wood. 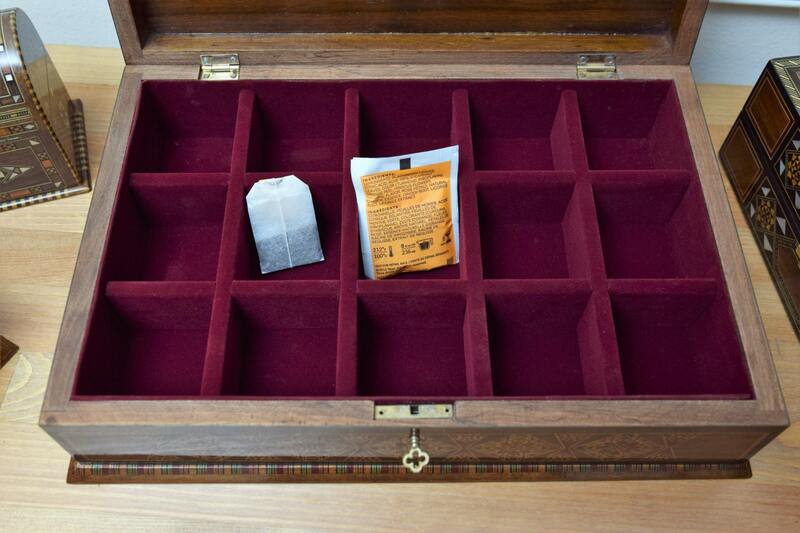 the box is padded with wine-colored velvet.